enriching medical education and helping to develop the critical thinking skills of future physicians. creating opportunities for medical students to share their original research. promoting the progress of biomedical research which searches for better cancer therapies, improves medical techniques, and improves the health and well-being of society. 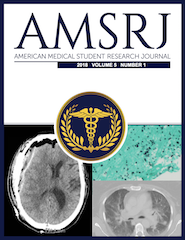 ensuring the growth and longevity of the American Medical Student Research Journal. We run solely on the donations from supporters like you! In addition to supporting the aforementioned goals of our organization, your donation also awards you certain privileges depending on your donor category.